Viking Books for Young Readers, 9780670012701, 48pp. Celebrate a major anniversary of a true classic! In 1962, a little boy named Peter put on his snowsuit and stepped out of his house and into the hearts of millions of readers. The Snowy Day transformed children's literature with its pioneering portrayal of an African-American child and the charming story and artwork that won it the Caldecott Medal. Fifty years later, Viking proudly celebrates Peter's adventure in this very special edition. Featuring eight pages of bonus material and a festive cover, this oversized edition of Keats's beloved book is a must-have. 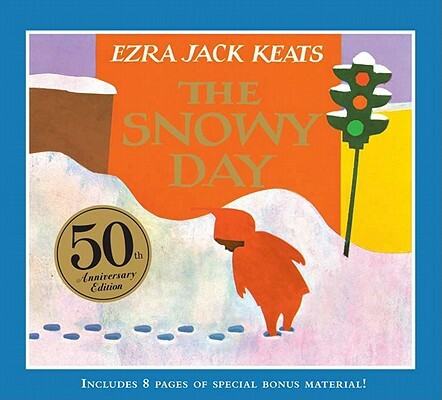 Ezra Jack Keats (www.ezra-jack-keats.org), who died in 1983, was one of the first people to create a realistic, friendly, multi-ethnic urban setting in picture books for young children. His legacy lives on in the popularity of his most famous character, Peter - the star of The Snowy Day, Whistle for Willie, Peter's Chair, A Letter to Amy, Goggles, and others.